RESORT LIVING at the EDGEWATER - the upscale, gated community surrounded by 14 acres of parkland overlooking the Nickomekl River! 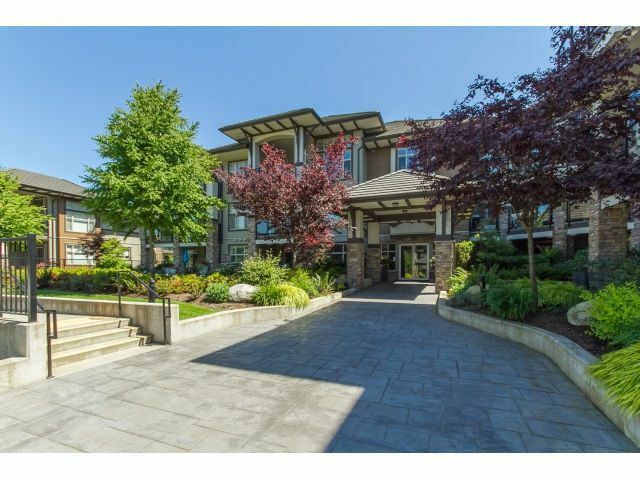 This lovely ONE BED + DEN/2 FULL BATH open unit has 9' ceilings; granite counters, gas top, Kitchenaide SS appl; laminate floors; and spacious private 8x12 covered deck with courtyard views. Comes with 2 PARKING & 2 STORAGE LOCKERS! Luxury amenities include outdoor POOL/Hot Tub, amazing entertainment level with kitchen/bar/full length deck with fire pit; theater room; gym; yoga room; GUEST SUITES - this is the lifestyle! 2 Pets & Rentals Allowed!